"As soon as that red light turned on, he had no cares in the world." Believe it or not, it’s been more than two years since the death of ESPN anchor Stuart Scott. But although Scott is no longer around to deliver catchphrases on SportsCenter, his influence clearly lingers at ESPN in ways both obvious (anchors who attribute their styles to Scott’s influence) and less obvious. 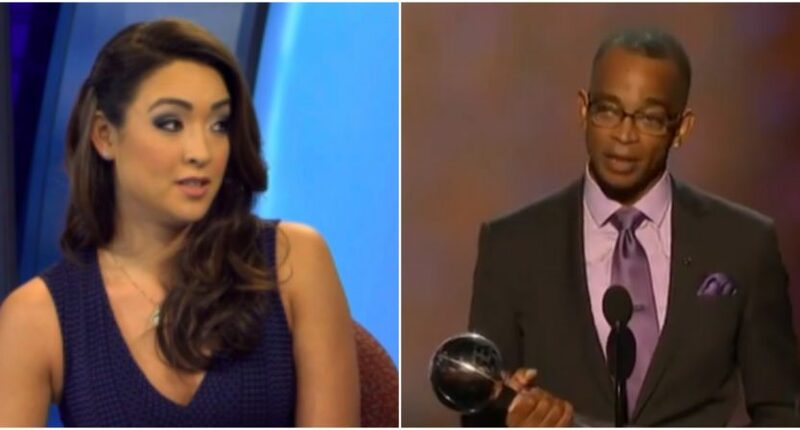 Among the many ESPNers with abundantly fond memories of Scott is Cassidy Hubbarth, a rising star in the network’s NBA coverage. In a Q&A with The Spun published Thursday, Hubbarth cited Scott as one of her top mentors at ESPN. Her explanation of what Scott meant to her was genuinely touching. Hubbarth articulately touched on two recurring themes you hear when people who knew Scott talk about him. 1.) He was kind and caring and friendly and personable. 2.) It was absolutely incredible how he maintained the same energy and enthusiasm even while battling the cancer that eventually killed him. Sometimes when a prominent person dies, the praise is feint or selective or back-handed. But with Scott, every person who knew him seemed to have some effusive thing to say, along the lines of what Hubbarth just offered. He’s gone, but there’s never a bad time to remember him. In her Q&A with The Spun, Hubbarth also talks about her new contract extension, social media, the NBA MVP race and more. It’s worth checking out.